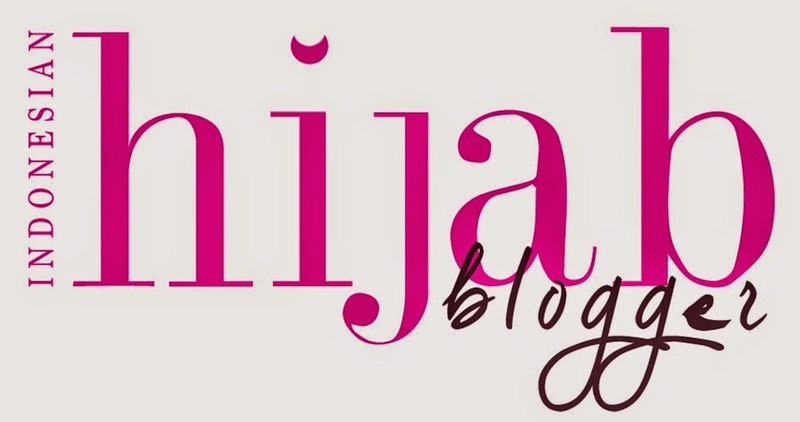 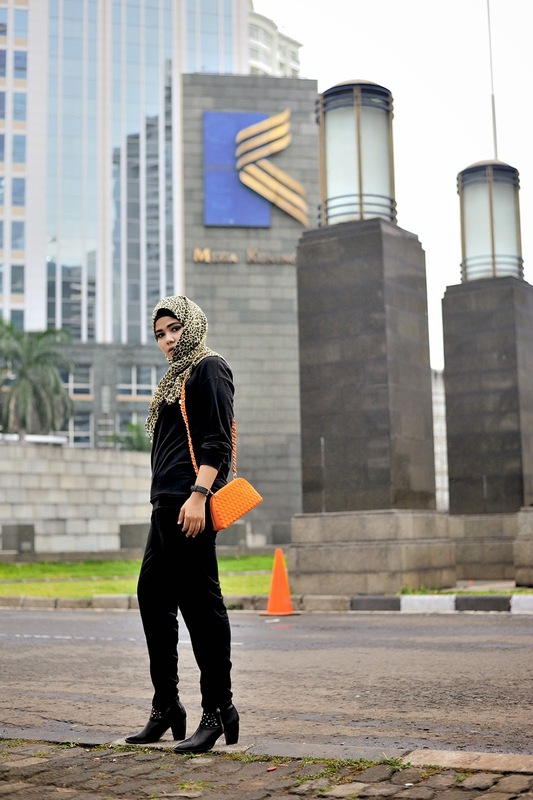 Haloww guys, sorry for not updates my blog this week.. 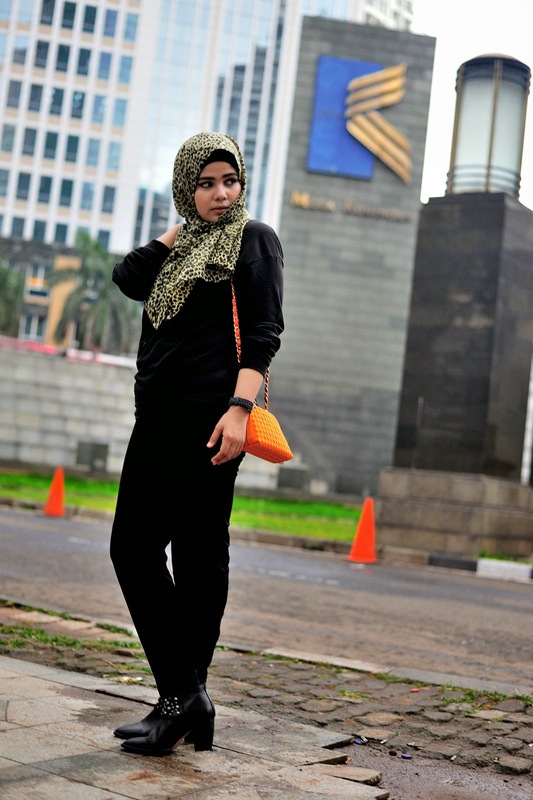 Anyway here my look yesterday, and it's about Black.. 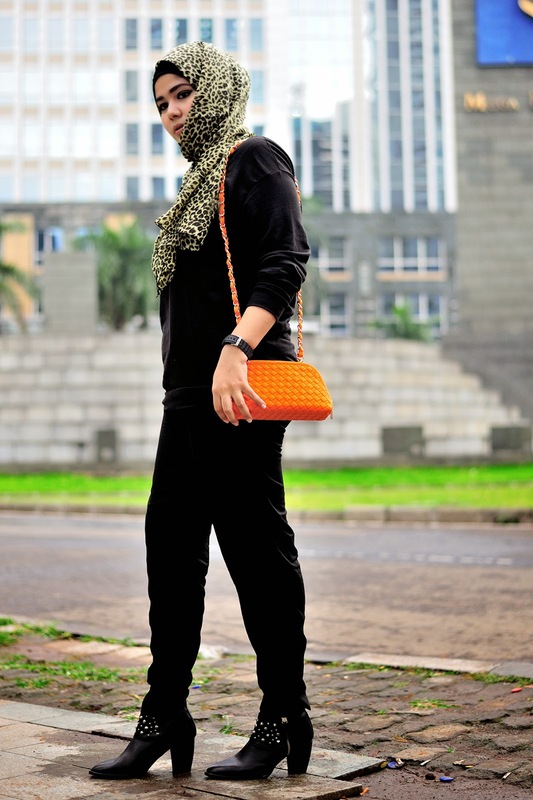 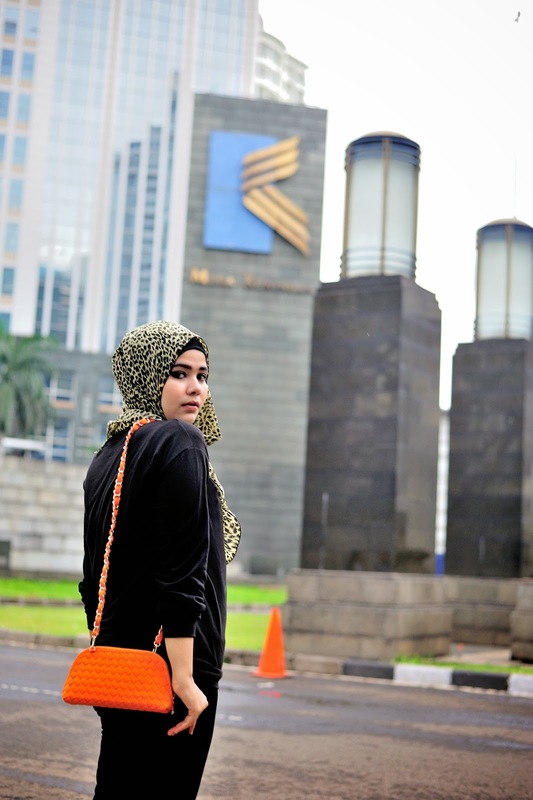 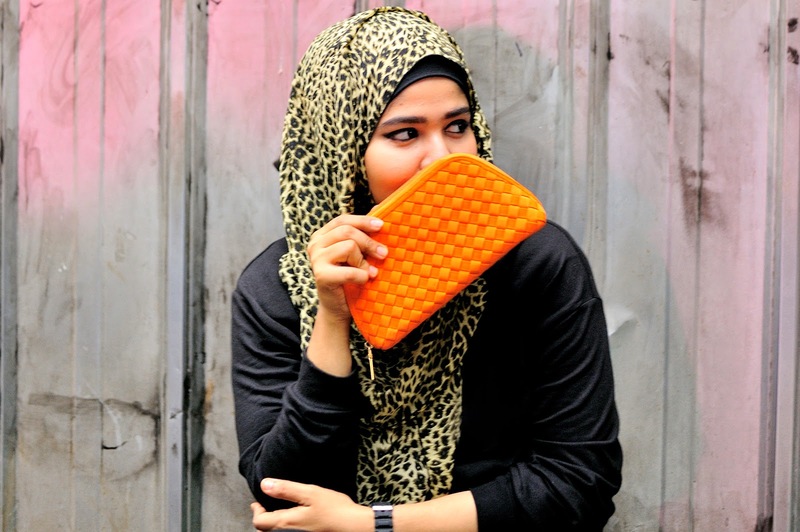 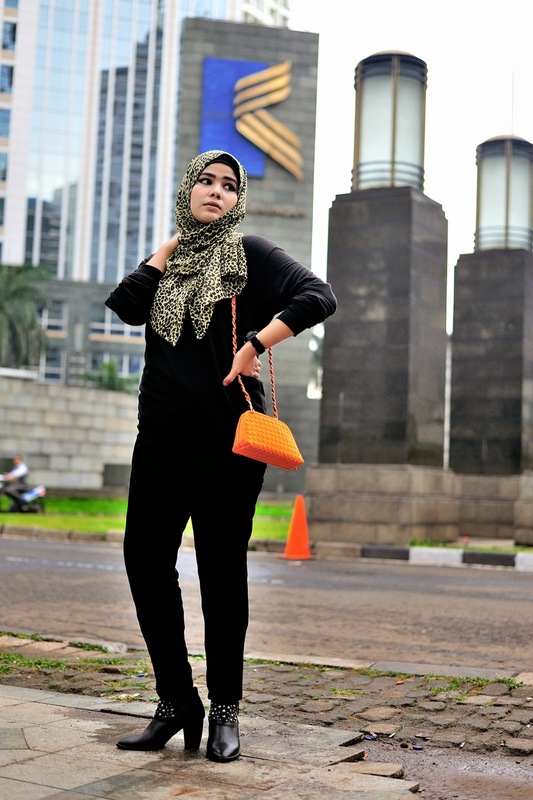 Here my look full of Black featuring my new leopard scarf from @warunghijabku and a little touch of bright orange in my new mini bag from @velove_vegozz,. 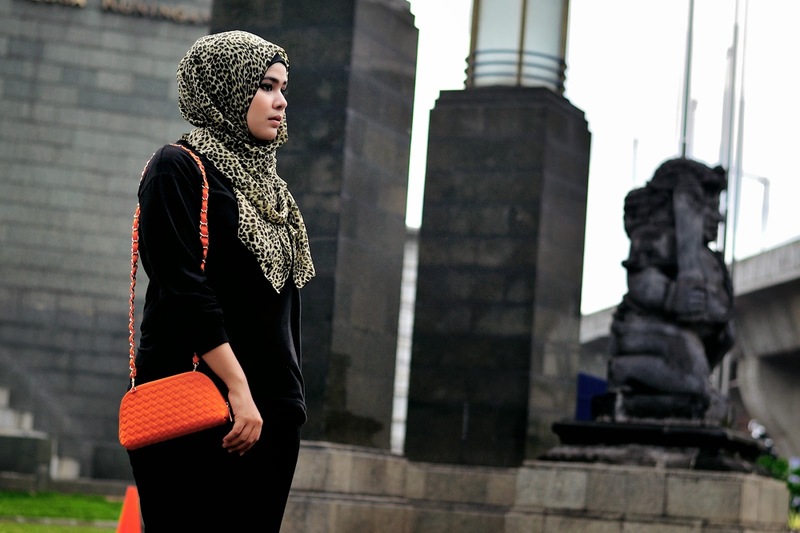 This bag is so cuteee.. Super Like..